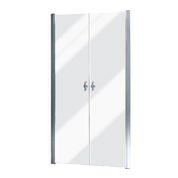 Find a diverse selection of glass screens for the bath and shower in our affordable range. You will find designs that include sliding and folding shower doors to accommodate your interior needs. 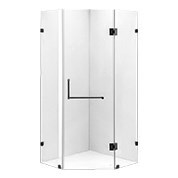 Furthermore, we stock the latest trend which is walk in showers. We have many sizes to fit a range of spaces and have a large focus on providing compact design. Upgrade from the out dated shower curtain which is not effective in preventing water from spilling out and does not enhance your interior. Our products in this range feature massive reductions up to 70 percent, enabling affordability for everyone who wishes to buy shower screens online. Match your shower interior to the other accessories and utilities in your bathroom with products from Bathroom range. We have top brand and prices on ranges such as bathroom basins online, bathroom accessories and other products. Make furniture shopping easy by doing it from the comfort of your own home. You may be eligible for free shipping on many of our products for our range if you live in Australia. Just stay put at home once you make your order and we will bring it straight to you. Wherever you are in Australia, we will bring your order to you, no matter the size. We ship to all major cities very quickly and all regional areas with some time allowance. If you would like to learn more about these products do not hesitate to contact us on our online contact enquiry form or call us on (03) 9998 6805.